Shout out to Sa-Roc for sharing this one. I appreciate great sound and this is definitely it. Feeling fine on this Wednesday grateful for the sun. 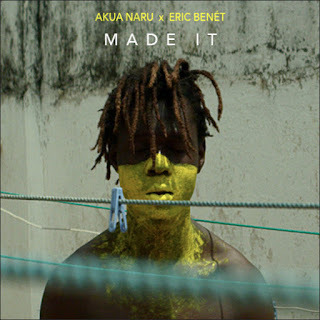 "Made It" feat Eric Benét is the second single release off Akua Naru’s third and forthcoming studio album, "The Blackest Joy" (out Apr 27,2018). The song, featuring Grammy Nominated Soul Veteran Eric Benét, is a celebratory and nostalgic blend of hip hop/soul. It speaks of triumph through tribulation and an arrival at power and joy through struggle, an assessment of where we have been and hopeful vision for where we are going. Filmed in Lomé, Togo, West Africa and directed by LA based artist Joachim Zunke/Produced by Jahëna Lousin & Togolese Activist-Rapper Elom 20ce, the video, the second in the series following the visually stunning "My Mother's Daughter," is an ode to Black joy and an aesthetic homage to the power of the human spirit in it's strength to overcome.